OLED displays use organic materials that emit light when electricity is applied. 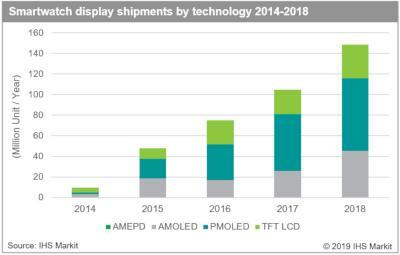 OLEDs enable emissive, bright, thin, flexible and efficient displays - and so OLEDs are set to replace LCDs in all display applications - from small displays to large TV sets. AMOLED displays today are used in many applications - and are most common in smartphones. Samsung for example uses AMOLED displays in most of its high-end phones, including the latest Galaxy S9 and S9 Plus and the Note 9. Apple's new iPhones, SmarthWatches, and the MacBook Pro's Touch Bar are all using AMOLEDs. 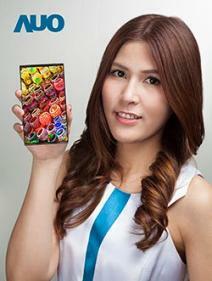 Other AMOLED devices include smartphones from Huawie, Sony, Xiaomi and others. AMOLED displays are also used in OLED TVs - which are mostly available from LG. OLED TV screens range from 55" to 77" (88" 8K ones are coming in 2019), and are considered to be the best TV panels ever produced. 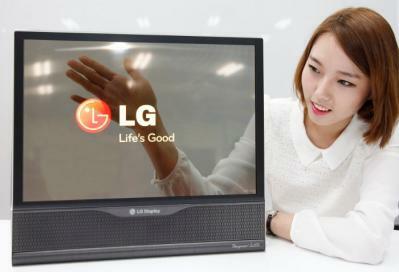 In 2019 we will have the first rollable OLED TV - LG's 65" Signature OLED R.
The term AMOLED means Active-Matrix OLED. The 'active-matrix' part refers to the driving electronics, or the TFT layer. When you display an image, you actually display it line by line (sequentially) as you can only change one line at a time. 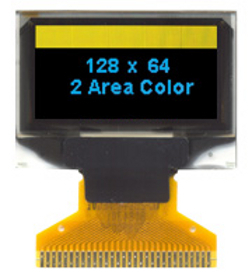 An AMOLED uses a TFT which contains a storage capacitor which maintains the line pixel states, and so enables large size (and large resolution) displays. A PMOLED uses a simpler kind of driver electronics - without a storage capacitor. This means that each line is turned off when you move to the next line. So let's say you have 10 rows in your display - each row will only be on 1/10 of the time. The brightness of each row has to be 10 times the brightness you'd get in an AMOLED. So you use more voltage which shortens the lifetime of the OLED materials and also results in a less efficient display. So while PMOLEDs are cheaper to make than AMOLEDs they are limited in size and resolution (the largest PMOLED is only 5", and most of them are around 1" to 3"). Most PMOLEDs are used for character display, and not to show photos or videos. One of the main advantages of AMOLED displays is that they can be made flexible. Flexible AMOLEDs are already popular for many years in smartphones and wearables, and in 2019 we will experience the first foldable devices and rollable screens. Several companies are developing large transparent AMOLED displays - and in past years we've seen many prototypes - including a large 55" Full-HD transparent TV. But this technology is not commercial yet, mostly it seems because there are no useful applications that will convince the display makers to mass produce such panels. Looking to buy an AMOLED display? 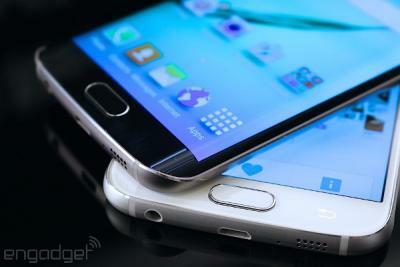 Are you looking to adopt an AMOLED display for your device? Several producers are already making panels - including Samsung Display, LG Display, EverDisplay, Truly, Visionox and more. 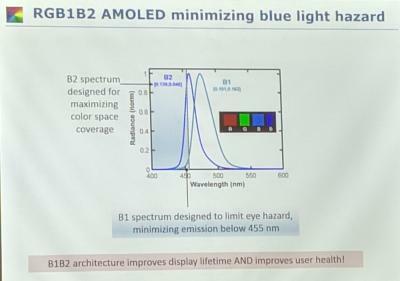 AMOLEDs on the market range from small 1-inch ones for smartwatches through large OLEDs used in tablets and laptops - to large TV panels. OLED-Info offers the OLED Marketplace, the world's most comprehensive OLED catalog. Just browse the available panels, and let us help you secure the best supplier for your needs. 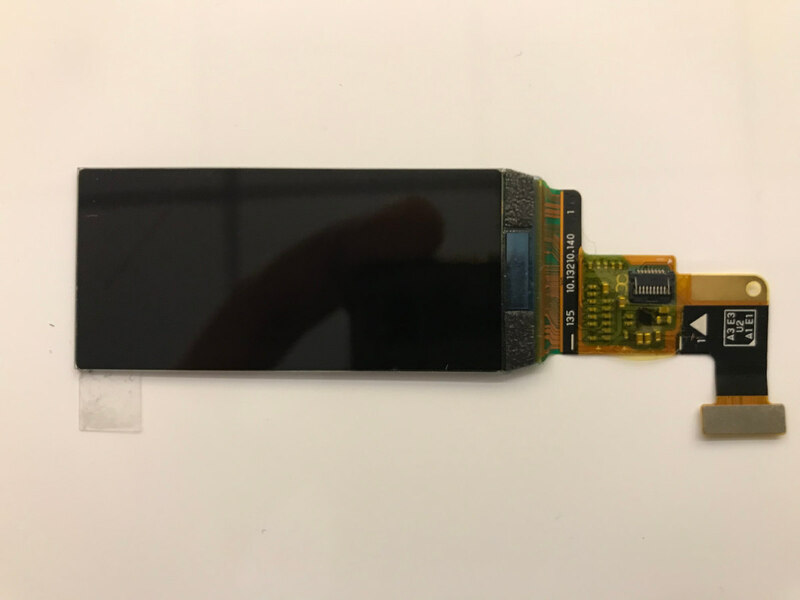 These new small AMOLED displays can be great for many applications - i you are interested in this display for your device or new project, contact us now, or check out more information over at the OLED Marketplace. Sharp demonstrated a new 6.18" 1440x3040 foldable AMOLED prototype. The company says that it can withstand over 300,000 bending cycles. The demonstration panel folds inwardly, but Sharp apparently says it can also bend outwardly. In June 2018 Sharp started to produce flexible OLED displays in low volume and in October 2018 the company launched its first phone to sport its own panels - the Aquos Zero smartphone - that has a notch-type 6.2" 1440x2992 display. Pulse-Width Modulation, or PWM, is the most common way to adjust the brightness of an OLED display. PWM is the easiest way to achieve high quality brightness control, but it has some serious drawbacks - such as flicker that may cause eye strain and headaches. Some people suffer greatly from PWM-controlled displays. Device makers are seemingly starting to acknowledge this. Xiaomi has added DC-Dimming as an alternative to PWN in its Mi 9 smartphone (6.39" 1080x2340 AMOLED display) and its Black Shark 2 gaming phone (which uses the same display). OnePlus confirmed that it is also looking at adding a DC-Dimming option in a future OS update. In February 2019 Samsung Display started to mass produce its new 15.6" 3840x2160 OLED display panels, and finally we have the first laptop to ship with such a panel - Dell is now offering its 2019 Alienware m15 laptop. The 15.6" OLED display is a $350 extra compared to the regular 15.6" FHD LCD (according to Digitimes, the price gap between these two displays should have been closer to $60). SDC is targeting premium laptops, as these ultra high resolution panels are optimized for gaming, graphic design and video streaming. At CES we saw three companies that announced 15" OLED laptops - HP with its Spectre x360, Lenovo with the Yoga C730 and Dell with the XPS 15, Dell G7 15 and the Alienware m15 which is indeed now shipping. 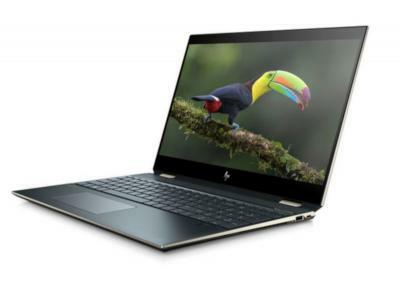 HP introduced its 2019 Spectre x360 15 high-end laptop in CES 2019 - including a top-of-the-line variant that sports a 15.6" 4K AMOLED display. HP originally aimed to start shipping it in March 2019, but this did not happen and according to Anandtech, the company says it now hopes to start shipping it on April 19. Interestingly Anandtech also says that HP will release an updated HP Envy laptop which will also sport the same AMOLED display. We do not have more details on the new Envy laptop yet.